Emirates will operate the highest-capacity Airbus A380 jet later this year, reconfiguring the world’s largest passenger plane with 615 seats for its flights from Dubai, United Arab Emirates, to Copenhagen, Denmark. Emirates CEO Tim Clark announced the move Thursday. The carrier, based in Dubai, will eliminate the first-class cabin on its A380s scheduled for Copenhagen, converting the jet to a two-class cabin with 557 economy seats and 58 flat-bed seats in business class. The two-deck plane will still feature a business-class bar on its upper deck. 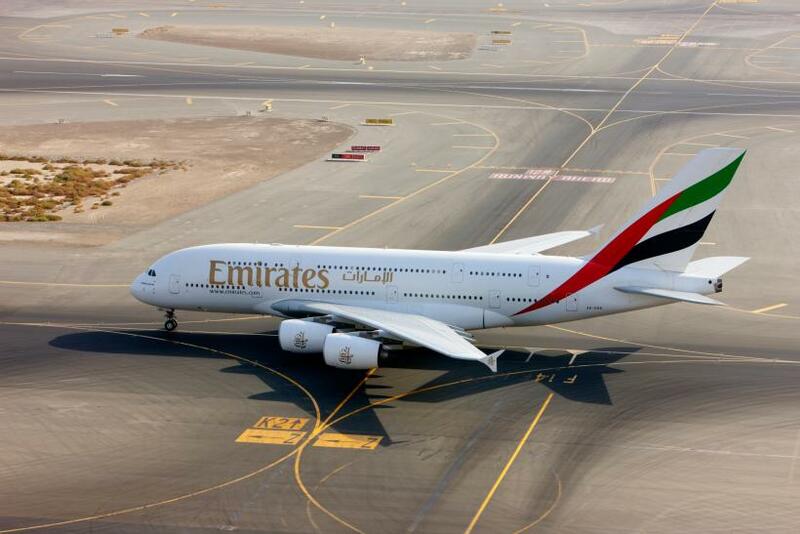 Previously, the maximum capacity for Emirates A380s was set at 517 seats. The newly configured A380 will begin flying one flight a day to Copenhagen on Dec. 1. Emirates has been operating flights to Copenhagen since 2011, though it began with smaller Airbus A330 planes and later Boeing 777s. “Based on strong load factors, we are happy to further up-gauge the route to our iconic double-decker, the A380,” Clark said in a statement. Australian Business Traveler reported that the airline will maintain a three-class layout for its A380s flying on the most profitable long-haul routes but reserve two-class A380s for markets where demand is high for cheaper fares. While the Airbus A380 is designed to hold as many as 853 passengers in a single-class configuration, most airlines that fly it break it up into several classes, with room for plenty of luxury seats. The current record-holder for the most seats in a passenger plane is Air France, whose A380 holds 538 seats.